Screen time has become a buzz word of the 2000's. Back when I was growing up, it just wasn't an option to have so much screen time; many families were lucky if they had one screen to share! Today I came across a great post from Yvonne Newbold​, called Screen-Time and SEND children - How to get the balance right. In it, she reminds us that back 'in the good old days', there were other worries for families. In another 20 years time, there'll probably be a different worry which we haven't even thought of yet. Personally I've had to let go of any pre-conceived ideas of how much screen time is suitable when it comes to our autistic daughter. 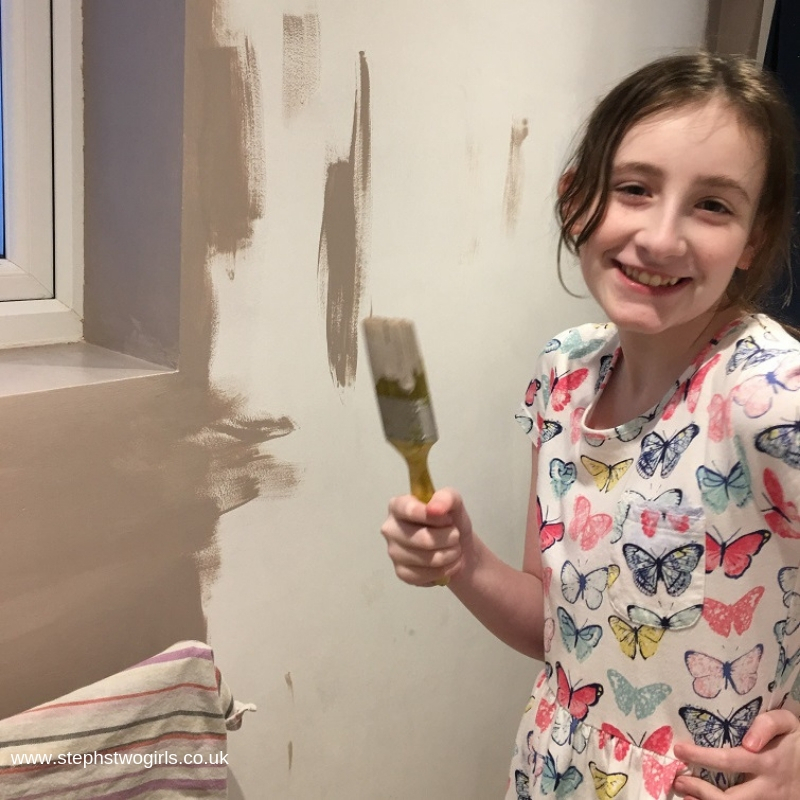 For Sasha, the iPad, the laptop and the various gaming consoles are her main forms of entertainment, tools for her to be creative and also a way of relieving stress and winding down after school and at weekends. She doesn't enjoy reading (understatement of the year; she has been known to scream at the sight of a book), struggles to play board games with others due to high levels of anxiety over losing and she's not generally a fan of TV or movies. She does enjoy craft activities occasionally, but only when she's in the right mood and has an idea for something herself - she rarely allows others to suggest projects for her. This weekend I managed to persuade Sasha to help me paint the downstairs toilet room. Getting her involved made me feel happy and like I deserved a medal all at the same time. Every other weekend since New Year we've been roller skating at the nearest rink; Sasha's decision to try a new activity and the fact she has actually continued with it has also had me smiling and skipping. This weekend though, we didn't make it to the rink (long story, involving me forgetting whether I had put her roller skates in the car #mumfail) and so it felt as if she was spending even more time on her screens than usual. I get 'twitchy' about it like most parents would, but know that there's not much I can do to change it - just 'telling' what to do really doesn't work for Pathological Demand Avoidance. There are times when we manage to engage Sasha in other activities, but the PDA means it's always on her terms. Here's Sasha making a cake at the weekend; we've just made another tonight. This is largely because she's been watching a lot of cake baking shows on Netflix of late, especially her favourite 'Nailed It! 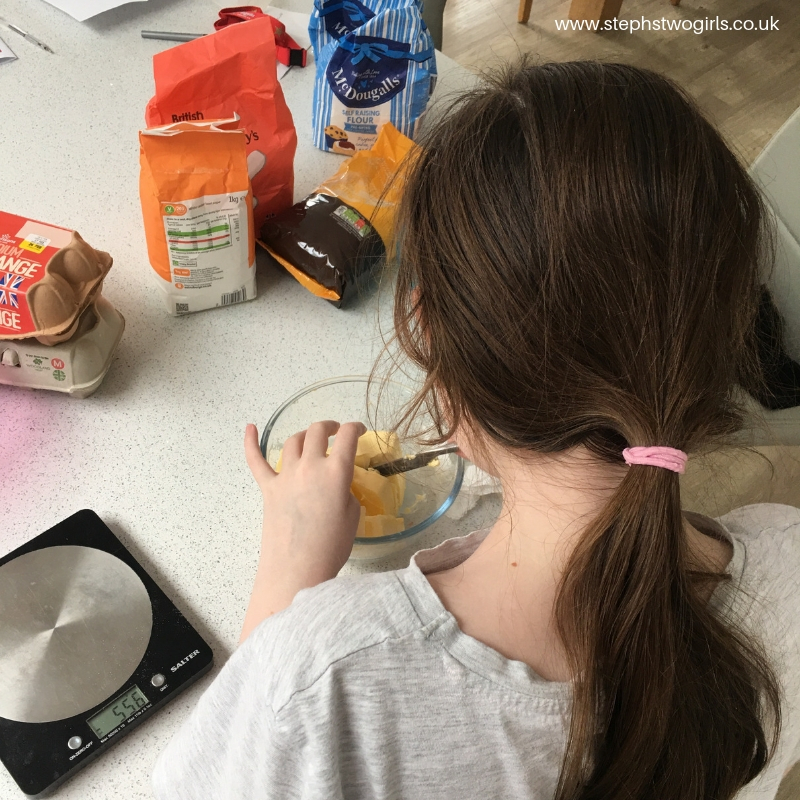 ', but also because she wants to make a special cake for her older sister who is appearing on stage in a big show this week. Sasha has even sketched her own design for this double layer cake - hopefully I'll be able to share that with you at some point in the future! So don't ever let anyone say that autistic people generally are not creative or don't have good imaginations, or that too much screen time stunts this opportunity - that certainly doesn't apply to our girl. In fact I'd say that the iPad has taught her much; I've written before about how YouTube is one way in which she is learning how to communicate with others. We are extremely lucky that Sasha doesn't seem to become overly obsessed with any one game to the exclusion of everything else though. Yes, she loves her Nintendo Switch, particularly Mario and Kirby, but we have been able to enjoy family time together playing these games*, something which otherwise might not have happened. Yes, she knows all there is to know about Pokemon, but she's also created her vision of new Pokemon in the basic Paint app (a graphic tablet is next on her wishlist of gadgets!). She might not want to read books, but she has written her own imaginative stories in the Grammarly app. She will tell you that the iPad is her life, and it's true that she will nearly always have YouTube videos on loop while she plays on the laptop or game consoles - even when not watching the iPad, she seems to find comfort in hearing it on next to her. Is that too much?! I'm sure for many parents, they would feel it is. They don't live with my child though; I have to have confidence and faith in my own ability to judge what is best for her. For those shocked at the thought of letting a child have so much screen time because of what it might do to the child or how it might influence them, I'd gently suggest that nobody really knows whether it's a bad thing for my child. Of course we monitor her activity; this part we do feel is highly important. I'd be surprised if you could come back to me in 40 years time and prove all our girl's future problems are caused by too much iPad time. Yvonne's article covers many great points which are relevant to us and to many others I'm sure, so I'd encourage everyone to read it with an open mind. I find my eldest really needs screen time after school. I think it's his way of winding down and destressing after all the social demands from his day. I too get a bit twitchy about it but it comes down to picking your battles. My new screen time issue is that my 3 year old has worked out how the TV controller works! !